TPWD's newest freshwater hatchery came on line in 2012, producing up to 5 million fingerlings each year for stocking in the state's public waters. Financed by anglers who purchase the freshwater stamp along with their fishing licenses, the new facility replaces the 1932 Jasper Fish Hatchery and provides much-needed production capacity for largemouth bass, catfish, sunfish and forage fishes. The hatchery is named for the late John D. Parker of Lufkin, who served as a Texas Parks and Wildlife Commissioner 2003-2009 and was instrumental in securing funding for the project. 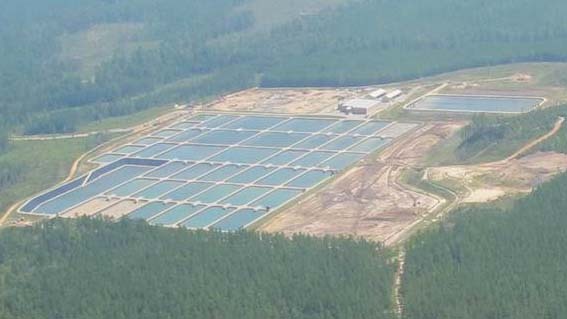 Located on a 200-acre site donated by Jasper County, the hatchery gets its water supply from Sam Rayburn Reservoir. In addition to the fish production and maintenance facilities, the hatchery grounds provide office space for district fisheries management staff and TPWD's aquatic habitat enhancement team. The hatchery is located in Jasper County below Sam Rayburn Reservoir. Access is via County Road 218, which joins Texas Recreational Road 255 just east of the Sam Rayburn dam about halfway between Texas 63 and US 96 north of Jasper. Hatchery tours are offered each Tuesday at 2 pm and Friday at 10 am for groups of 10 or less. Tours for groups of 10 or more can be arranged by appointment.